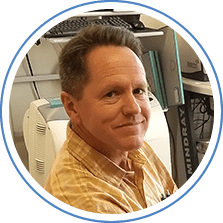 Dr. Don A. Shumway graduated from medical school at the California College of Podiatric Medicine in Oakland, California, graduating in 1999 with his Doctor of Podiatric Medicine degree. Dr. Shumway holds hospital affiliations with Summit Healthcare Regional Medical Center (SHRMC), located in Show Low, Arizona. He is a general podiatrist who treats an array of foot and ankle conditions, specializing in diabetic nerve decompression and reconstructive foot care.